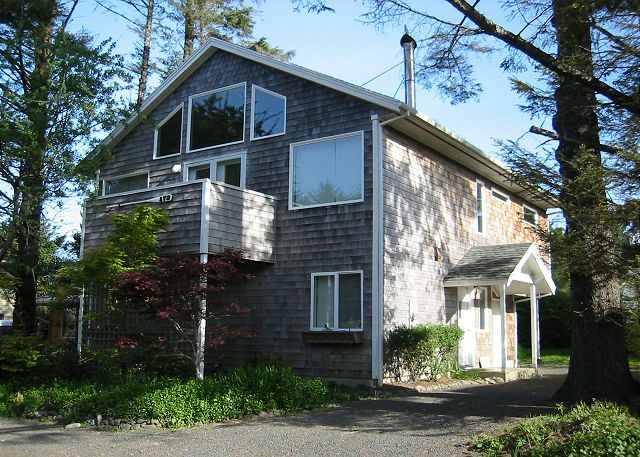 Harrison Hideaway is located on a quiet Presidential street in the midtown area of Cannon Beach. 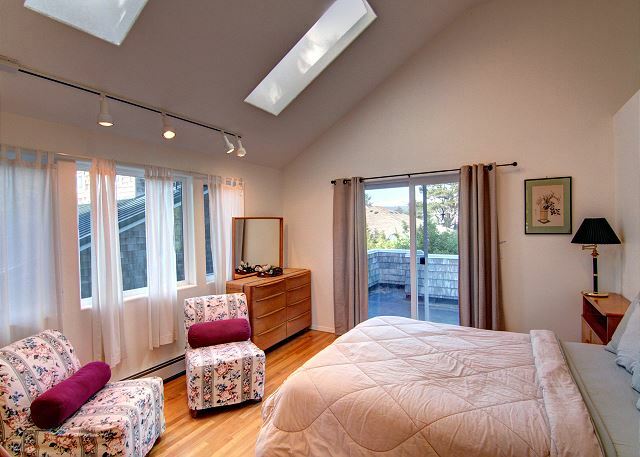 Vaulted ceilings and hardwood floors give it an open, airy European flair. 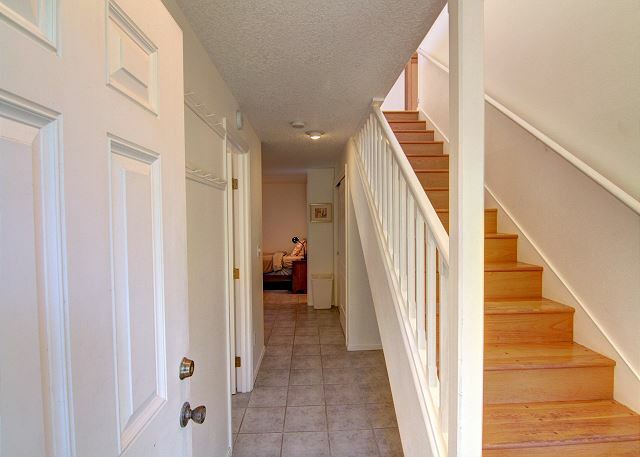 This multi-level property is ideal for families who enjoy open, expanded space. The first level features two sleeping areas off of the main entry hall. An open area provides two Twin beds, while a separate private bedroom flowing through and from the open area has a Full sized bed. A bathroom with tub and shower, and a full sized washer and dryer completes this level. Upstairs the open living, dining, and kitchen areas provide the perfect gathering spot after a day of beach-combing or visiting galleries. French doors off the dining area open to a small deck, great for additional dining or lounging space. The ample galley kitchen is open to the dining area and living room, extending a sense of spaciousness while preparing that special meal. 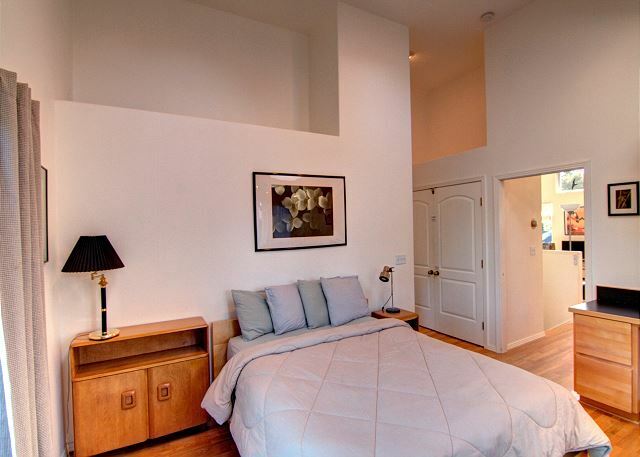 Just off the hallway is the open loft master suite with a Queen sized bed, a pleasant seating area, and access to a private balcony with outdoor steps to the first level. Flowing through and from the open suite, is a private bedroom with a Queen bed, and a separate full bathroom complete with a Jacuzzi tub. Accommodates 8 maximum; no pets; no smoking; parking for 3 vehicles. "Our family had a wonderful time in the Harrison Hideaway house! The living areas are bright and spacious. It is just two blocks from shops and cafes, yet is it peaceful and quiet." "This home worked out perfectly for two families with plenty of space for all. Great location, within easy walking distance to beach and the main part of town. The property was well maintained. One downside was very limited cable but there is WiFi. "Harrison Hideaway is a lovely home in a fantastic location. Sleeping accommodations were a little challenging for us (there were enough beds but oddly arranged for the make-up of our family of 8) but we made it work. The tv set up was the most challenging as we had difficulty getting the remotes to work and there were very few channels (though many are listed in the guide). We ended up hooking up a laptop to enable us to watch the channels we wanted. Despite that small glitch, we would definitely recommend this property." "We love this quiet house close to the beach." 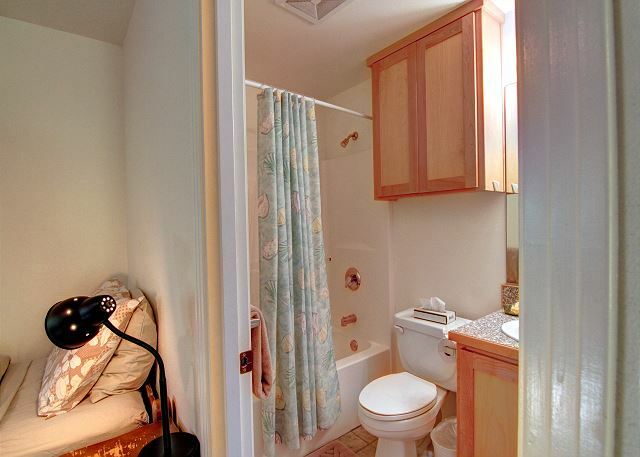 "Clean house, great location, would definitely stay again. " "Nice house for two family"
"So nice and relaxing. " 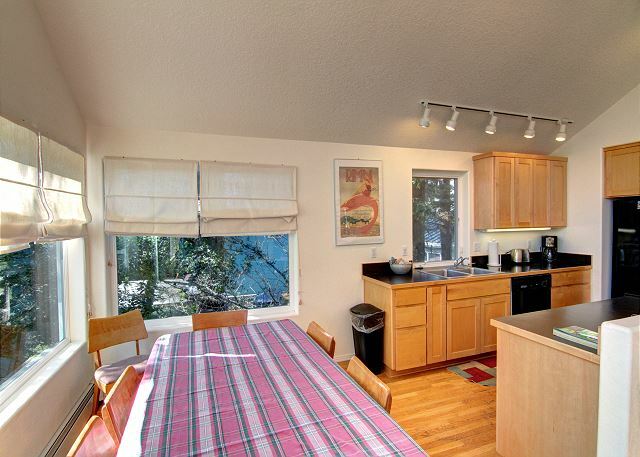 "Proximity to local establishments is great, easy access to the Beach at the end of the street. Will stay again." "The house had everything we needed. It has lots of space, fantastic light due to amazing skylights and feels very welcoming." "Our family spent Christmas at Harrison Hideaway. We were impressed by the well stocked kitchen--there was everything we needed to prepare our holiday meal. The location in a queit neighborhood a few blocks from the beach and downtown worked well for us. This was a very comfortable house--one of the nicest we have stayed in in this area. " "Six of us stayed comfortably in this lovely house." "This was our 2nd stay at this house. We love everything about it. Great location, quiet and roomy with modern ammenities "
"Close to town & beach; clean; perfect for our group of 6 adults. Would definitely rent from this company again." "We spent three nights in early march. The house was set up nicely with comfortable beds and nice linens. We spent most of our time traveling around to the nearby parks and beaches. The property is a good value and close to everything. " "We all had an amazing time at the Harrison Hideaway. It was perfect for our group, and I will recommend it to people for sure. Only downsides were the weather(which we didn't expect to be great anyways), and the size of the tv(which we barely watched anyways, although there were some big football games on!). 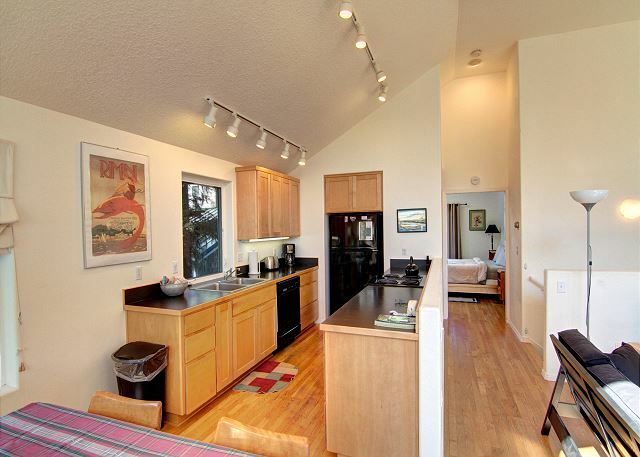 We appreciate the professionalism and friendliness of the people at Cannon Beach Property Management! Thanks for a great MLK weekend!" "Great time with family at the Harrison Hideaway. Big house with plenty of room for everyone. 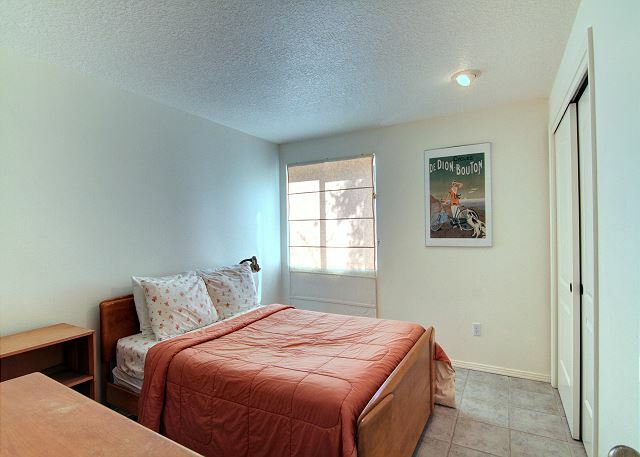 Location was good, about 2 blocks from the beach and very centrally located. Easy walk north to town, south to coffee shops and restaurants. House had everything we needed for cooking, cleaning and entertaining. Fun experience, would definitely rent this house again. " 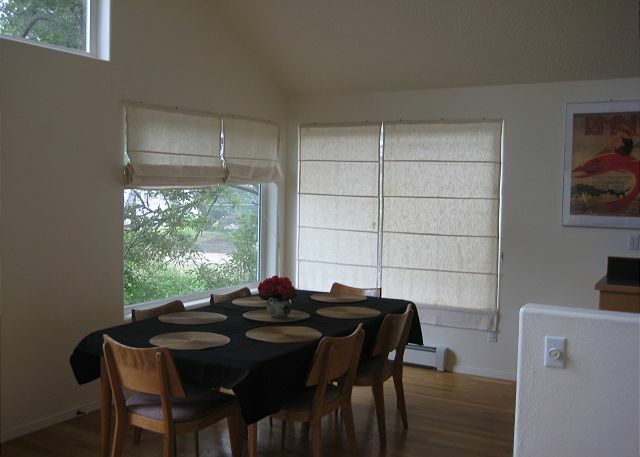 "Very happy with the house, the location, the property management company. Seemed a little strange at first to have bedrooms on ground floor and kitchen, living room, etc. upstairs." "Great place and deal for such a perfect location. Right in the middle of it all-within walking distance to all the shops along with the beach. 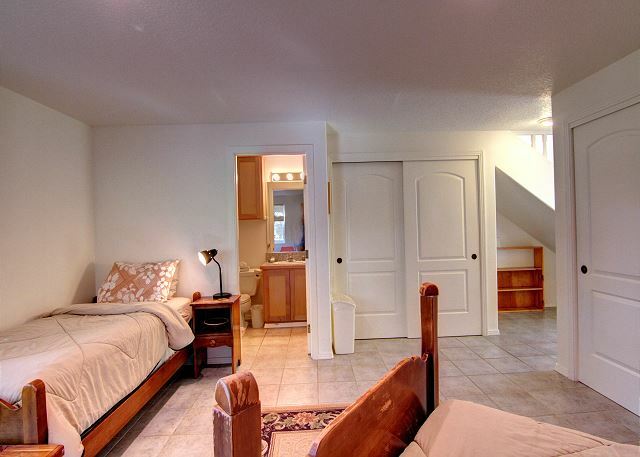 Nice overall place with a lot of area for company with beds to match. " "A wonderful place to stay for a wonderful vacation." 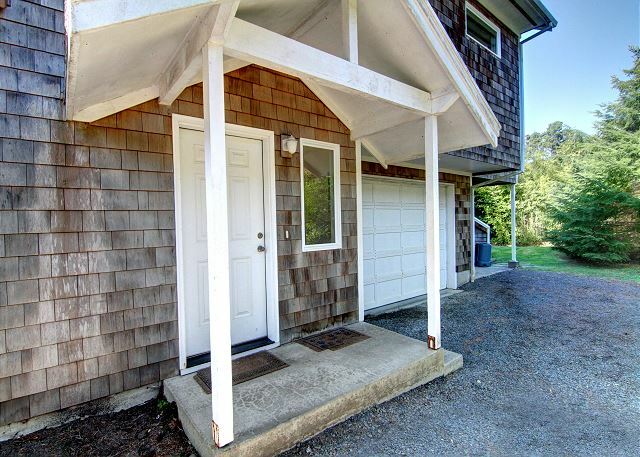 "Great location with plenty of room. We are looking forward to our next visit. " "My friends and I stayed here for another friend's wedding weekend. We had plenty of room and the house was very nice. Everyone was able to hang out there and socialize together, which was really nice since everyone came from so far. We had a blast at the house and everyone said how much they loved it! Thanks so much!" "This was our second stay here, and we are planning a third. 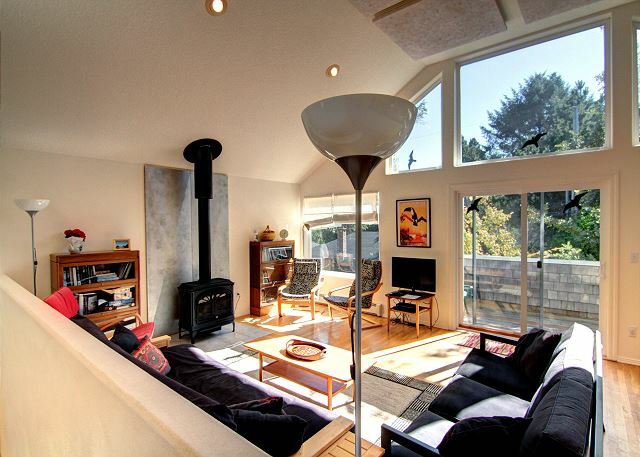 We love staying in this house in Cannon Beach." 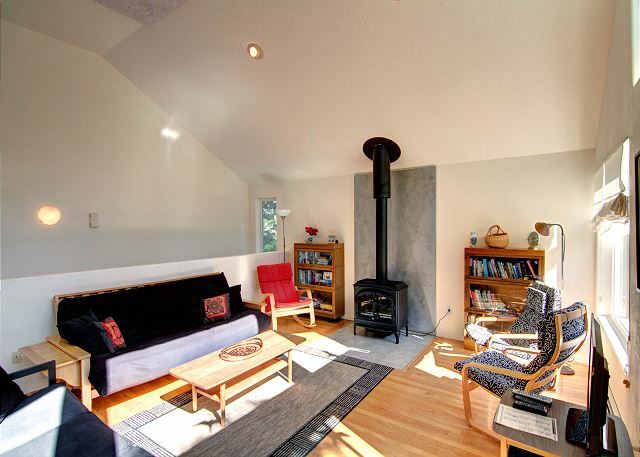 "This property had all our family needed to enjoy a nice long weekend at the beach. A great open floor plan, a well stocked kitchen, and a great location. 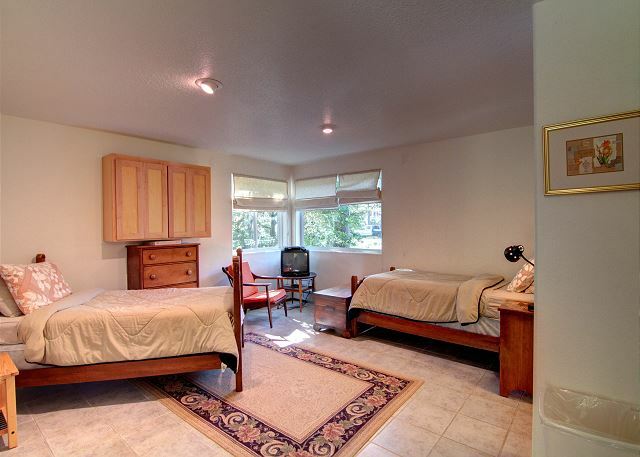 W"
"This house was ideal for our (3 women)quilting retreat needs. There were plenty of windows for natural light, plenty of light fixtures for evening light, plenty of outlets for our machines and ott lights, washer and dryer for preparing our fabric, and a quilt shop (Center Diamond) one block away! CB Property Mgmt provided us with an extra table to spread out. Restaurants, shops, grocery nearby, and the beach just 2 blocks away. We had a great time!" "My family and I loved staying here. It was super comfortable and quiet." "We love it there, very relaxing and quiet neighborhood. Big light airy lving room and Kitchen, good place for kids too. " "It suited our purposes perfectly...especially being right behind the quilt store, Center Diamond!"